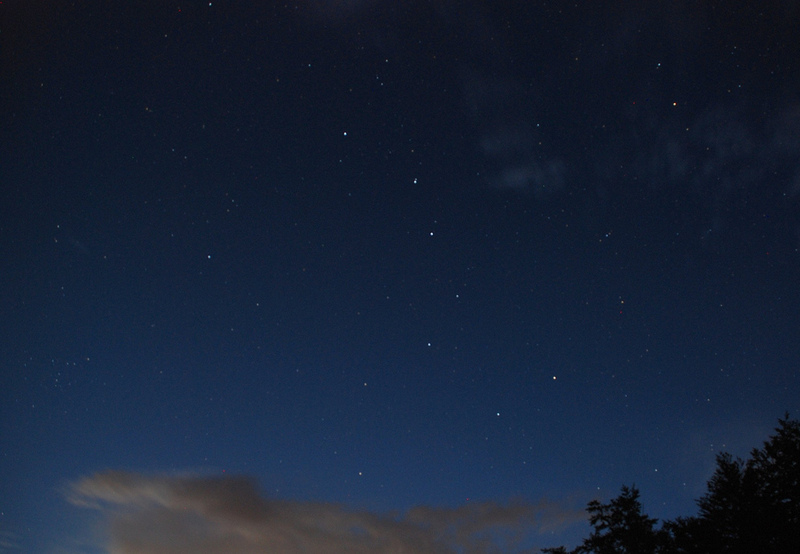 Ursa Major constellation; commonly called The Big Dipper; Dubhe is the star on far right edge of the bowl. Photo by Raoul Pazzi/Flickr (Noncommercial Use Permitted with Attribution/No Derivative Works). 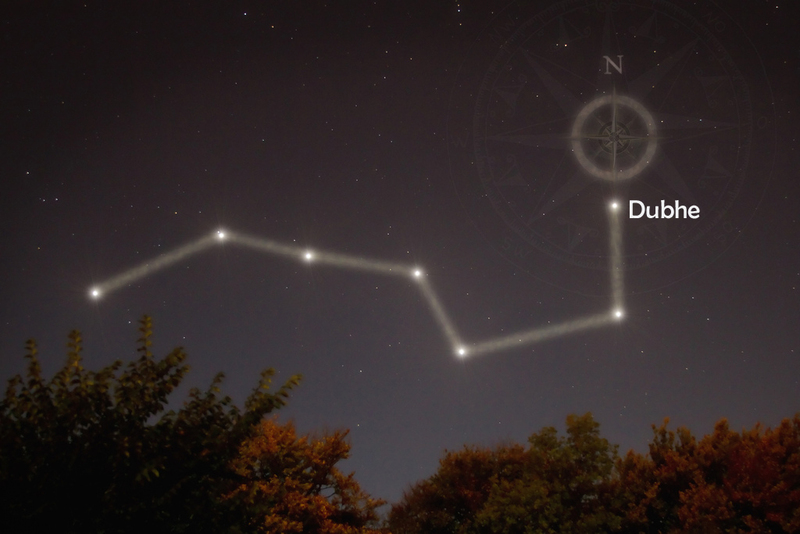 Dubhe (the "h" is silent) is one of the seven bright stars that make up "The Big Dipper" (part of Ursa Major, or the Great Bear constellation). Orange-hued Dubhe was selected as the centennial star because its light takes 100 years to reach Earth (588 trillion miles distance). Utah also recognized the beehive cluster as the official state star cluster. Big Dipper constellation showing position of Dubhe; the state star of Utah Photo by Tom Blackwell/Flickr (noncommercial use permitted with attribution).